Spc. 3/c Edgell C. Powell, son of Capt. and Mrs Dwight Powell, graduated from Frederick High School, attended Okla. A & M; husband of the former Maebelle Mondrel. 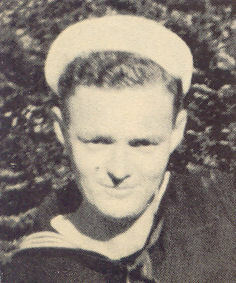 Entered the Navy in June, 1944, trained in San Diego, Cal. ; was killed in airplane crash near Quatzsite, Ariz., in Dec., 1944.